White collar crime is the term applied to intricate crimes committed solely for financial gain. White collar crimes are usually prosecuted as federal offenses, so finding an attorney who can help you navigate effectively through the complexities of the federal court system is crucial to the outcome of your case. Richard Harris Rosenberg has 45 years of experience in white collar criminal litigation in state and federal courts, and we have forged our reputation on providing our clients with the respect they deserve and results they can trust. Do not make a mistake that could cost you years of your life. Contact the Law Offices of Richard Harris Rosenberg today to find out about your legal options. 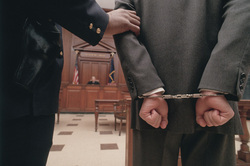 Contact a white collar crime attorney to secure your future. If you are being investigated or have been charged with a white collar crime, contact the Law Offices of Richard Harris Rosenberg in New York today to schedule a free initial consultation. Call 212-586-3838, or contact us online.